With Congress able to get tax reform legislation passed before the end of 2017, most Americans and small businesses will be able to reap the benefits in their upcoming tax filings for last year. However with that aside, one of the more interesting consequences of the Tax Reform and Jobs Act is how it is also acting as both a trade policy, and even as a foreign policy. By foreign policy we mean that it has the potential to effect where foreign businesses and capital choose to flow to now that it is cheaper to invest companies and jobs in the United States. And it didn’t take long for China to come to this realization as almost immediately after the passage of the bill, they too pushed through a policy which temporarily suspends tax obligations for foreign companies who invest in the Far Eastern economy. CHINA said yesterday that it will temporarily exempt foreign companies from paying provisional income tax on profits they re-invest into the economy, in a bid to stop foreign firms shifting their operations out of the country. The move will help “promote growth of foreign investment, improve quality of foreign investment and encourage overseas investors to continuously expand their investment in China,” the finance ministry said on its website. 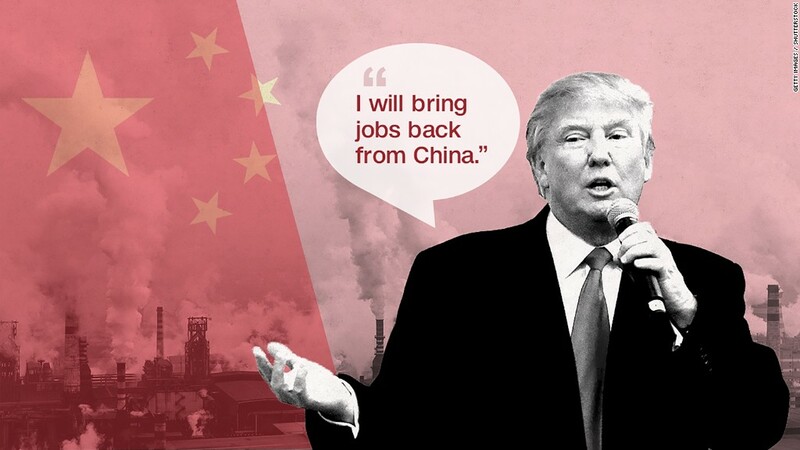 Analysts say a planned tax cut by US President Donald Trump, which could lead to a repatriation of earnings by US firms, poses a challenge China’s bid to lure foreign investment. In addition to this swift reaction from China, the European Union is also scrambling to figure out how to deal with a new Damocles Sword that is sitting over their heads due to the potential of losing hundreds of billions if not trillions of dollars from their banks following America’s tax reform legislation. Because the potential for Europe to experience a new banking and liquidity crisis is very real since foreign deposits are the lifeblood which have allowed most European banks to remain solvent over the past eight years. It is ironic that simply lowering tax obligations could cause so much chaos, both domestically within the high tax states of New York and California, and internationally in the regions which had in the past offered corporations better deals through cheaper labor and their own lowered taxes. And following eight years of a global currency war meant to protect ones exports and trade, President Trump’s new tax reform could potentially spark another domino effect around the world of lower taxes elsewhere to try to keep foreign capital in their domains versus it moving West and back to the United States.